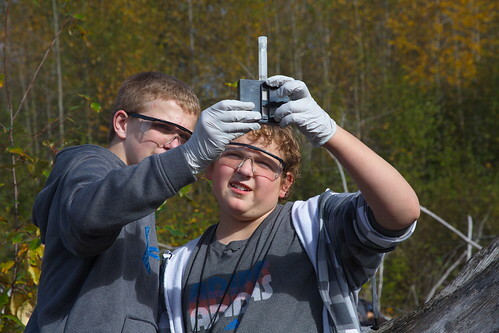 Junior Science, a photo by The Bacher Family on Flickr. 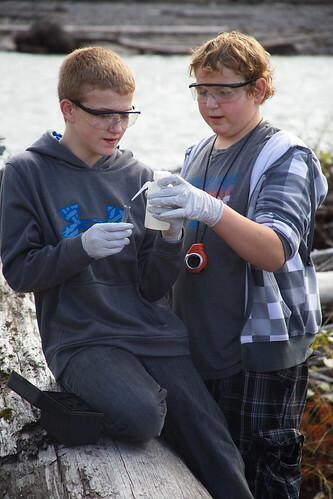 Here again are Junior Scientists from Columbia Crest Elementary School at work along the Nisqually River. There's something about goggles (or lab coats) and white gloves that just makes anything look official! Of course, these kids took their job seriously--it wasn't just the appearance of good science, but the real thing, and when something got spilled or contaminated, they went back and started over, and got it right.